New Delhi, March 21: Almost 12,000 fans had turned up at the M.A. Chidambaram Stadium in Chennai when Mahendra Singh Dhoni-led Chennai Super Kings played an inter-squad practice game last Sunday. 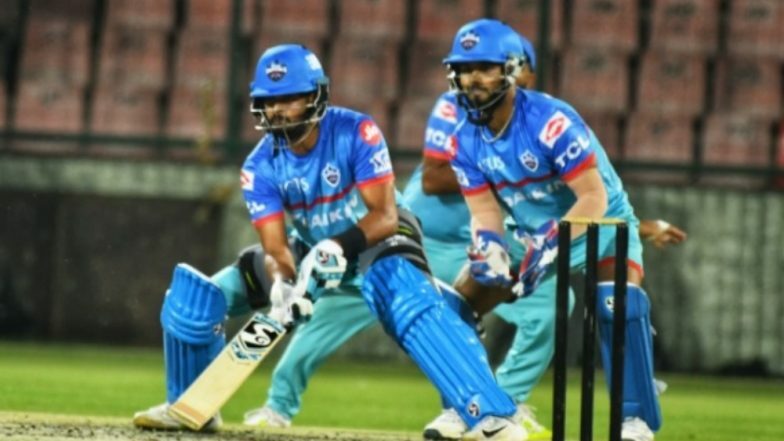 In stark contrast, Delhi Capitals have played two practice games this season at the Ferozeshah Kotla but in front of empty stands as fans weren't let into the stadium. IPL 2019 Schedule in PDF: Download VIVO Indian Premier League 12 Full Timetable With Fixtures, Matches, Team and Venue Details. Considering the love for the Indian Premier League and the decent queue outside the stadium in Delhi during both the practice games, on Sunday and Wednesday, the question arises as to why weren't the fans allowed to walk in and watch their favourite stars in action? The issue for Delhi Capitals is the lack of security clearance from the police. "We too would have loved to see the fans to come in and watch the games as this is a time when the players are relaxed and they even look to interact with the fans. But the problem was lack of clearance from the police. Security is of paramount importance and that can't be sacrificed at any cost. But in the future we will look to work this out because fans make the players who they are and we as a franchise also wish to create a loyal fan base like other teams," a Delhi Capitals official told IANS. In fact, Delhi Capitals CEO Dhiraj Malhotra also spoke about how the team is looking to work on building a fan base like some of the other franchises in the cash-rich league. "It is the first season for us (JSW has become co-owners this season) and the biggest thing is to build a big fan base. There is so much diversity that it is very difficult to create that feeling of belonging for the team. We do wish to do very well and we have the team to do well. We are stressing on performance and building a fan base. We want the people of Delhi to feel that this is their team," Malhotra told IANS. Fans waiting outside the stadium on Wednesday - the day of the second practice game - also rued the lack of opportunity to go in and watch their favourite players in action. "We (15 friends) had come to watch Shikhar Dhawan but the security guards aren't letting us in. They are saying they don't have the permission to allow us. Did you see how Chennai fans were allowed to watch Dhoni and others play? Hope things change soon because we also wish to be a part of our team's journey," one of the fans outside Gate 5 of the Kotla said.